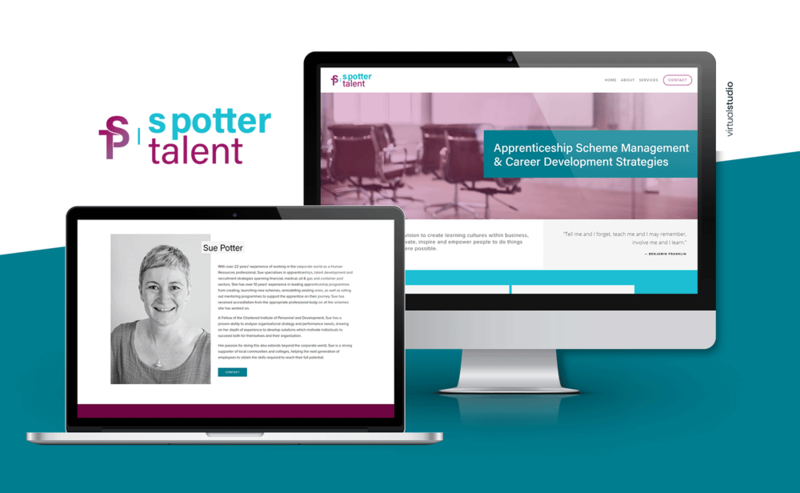 We are excited to showcase another of our recent client launches for S Potter Talent Ltd.
Sue came to us with a brand new business concept and a vision for what she was looking for. Along with a sample logo that she had previously had designed, we decided that a mix of our brand alignment and foundation packages would be the best fit for her. Once the foundation of the brand was complete, we moved onto creating Sue the perfect, informational website for her new business on the Squarespace platform. Providing strategic design and digital solutions for freelancers and SMEs on a global basis.